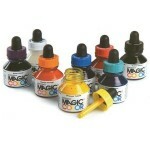 Magic Color Inks Opaque 28ml. See the Colour Chart here The vibrant range offers an unlimited palette of colour for brush, pen or airbrush. 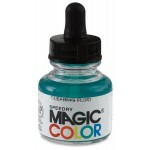 Waterproof when dry, Magic Color ink can be used straight from the bottle or diluted for more pastel effects and built layer upon layer to change mood, increas..
Magic Color Inks Transparent 28ml. See the Colour Chart here The vibrant range offers an unlimited palette of colour for brush, pen or airbrush. Waterproof when dry, Magic Color ink can be used straight from the bottle or diluted for more pastel effects and built layer upon layer to change mood, in.. 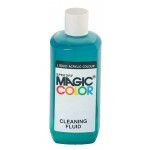 Cleaning Fluid - 28ml ..